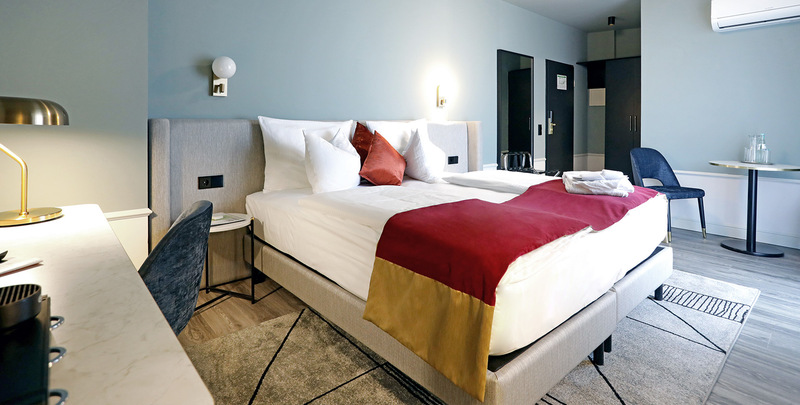 With a selection of different types of guest rooms, ranging from Economy to Deluxe, from bedrooms to serviced apartments, Hotel Residenz is the ideal choice for business or leisure. Our guest bedrooms are spacious with comfortable queen size beds or twin beds and your own private balcony. Our Economy rooms are comfortable and spacious, equipped with shower/WC, satellite-TV, Wi-Fi access (extra charge) and telephone. The rooms are on the 1st and 2nd floor (some with balcony). 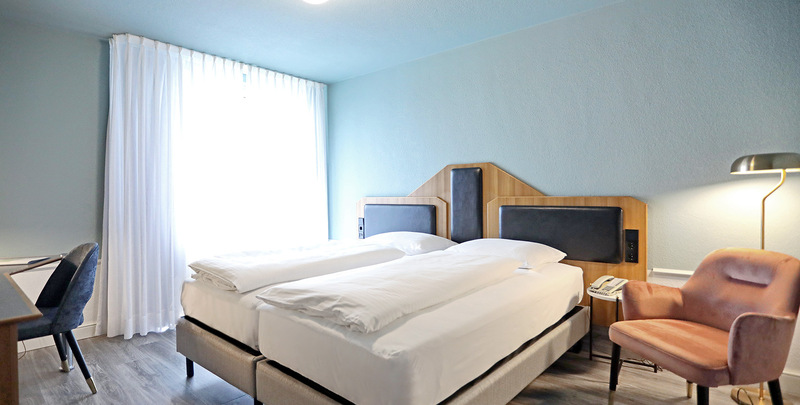 Our Superior rooms are comfortable and spacious, equipped with shower/WC, satellite-TV, and telephone. A bottle of sparkling water and Wi-Fi are included. The rooms are located on the 4th floor (some with balcony). 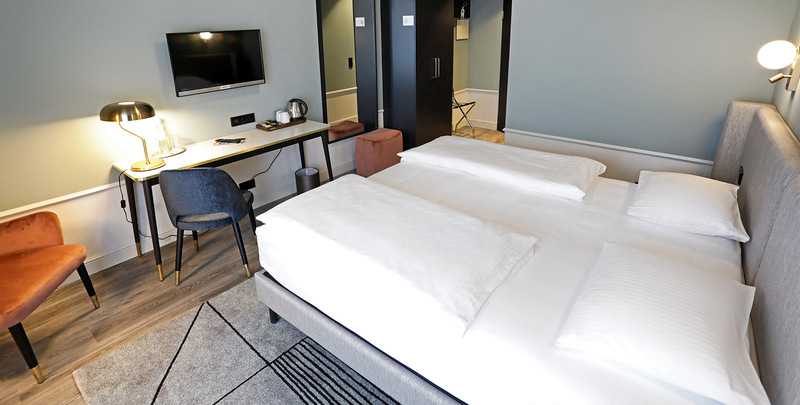 Our Deluxe rooms are newly renovated, comfortable and spacious, equipped with shower/WC, satellite-TV, air-conditioning, tea & coffee maker and telephone. A bottle of sparkling water, Wi-Fi and entry to the Fitness First are included. The rooms are located on the 4th and 5th floor (some with balcony). Our serviced apartments contain a kitchenette and a separate table for eating (some with balcony). In addition, we offer a suite with 2 separate bedrooms, a living room and a well-equipped kitchen. Our hotel is being renovated piece by piece. So we want to reduce the restrictions and harassment of our guests to a minimum. Already now you can start the day in our renovated breakfast room and some of the rooms have been refurbished in our new design. With the images in this gallery you can already get an impression of what our hotel will look like in the future. In addition, we offer a suite with 2 separate bedrooms, a living room and a full kitchen. Guests can make use of the in-house laundry room where washing machines, tumble-dryers, iron and ironing board are available (surcharge). Please note the special offers of ‘Fitness First- our partner for sauna and gym.